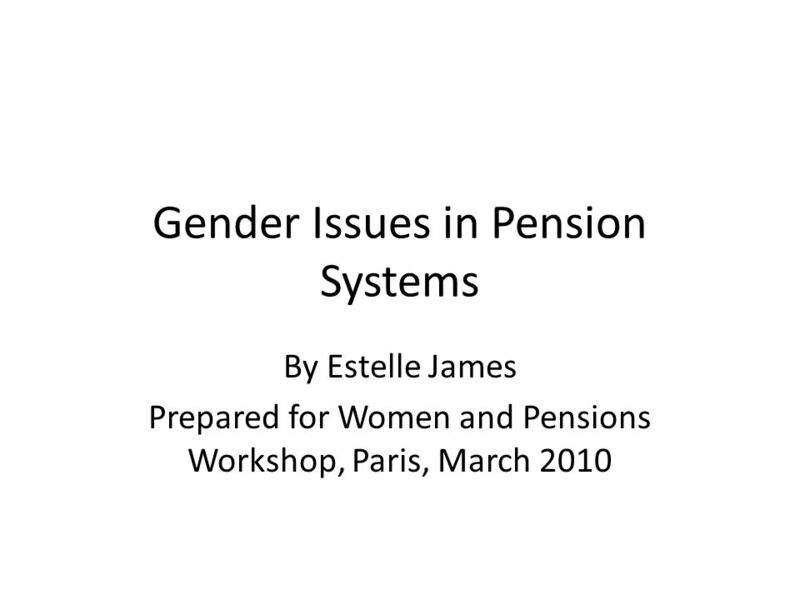 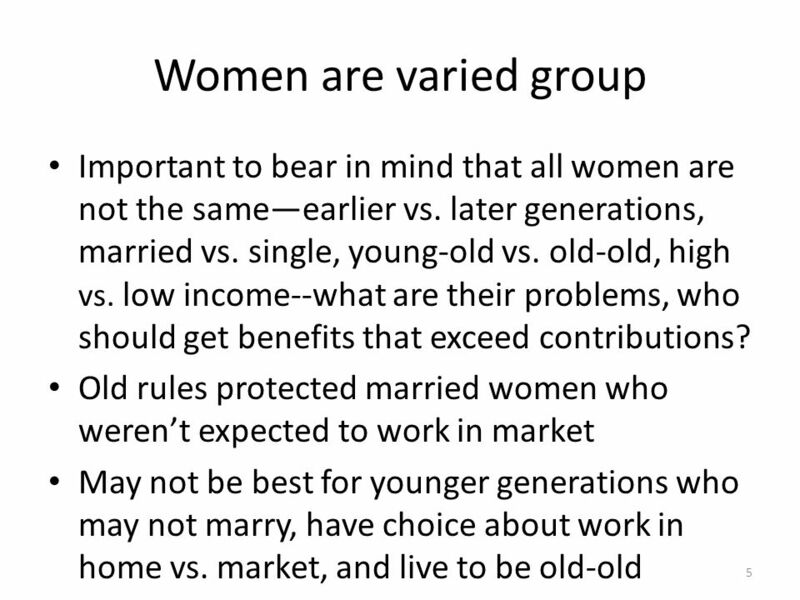 Gender Issues in Pension Systems By Estelle James Prepared for Women and Pensions Workshop, Paris, March 2010. 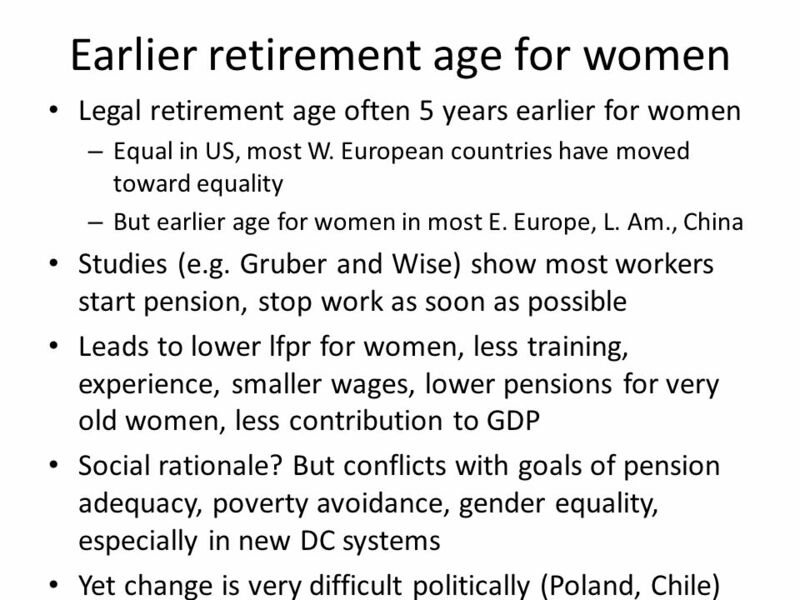 Download ppt "Gender Issues in Pension Systems By Estelle James Prepared for Women and Pensions Workshop, Paris, March 2010." 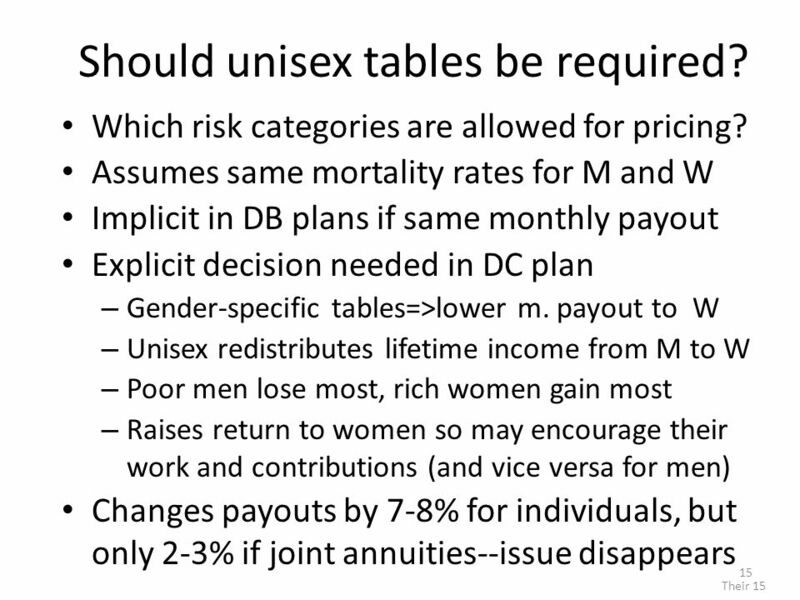 Gender Issues in NDC Plans By Estelle James Prepared for the conference on NDC plans, December 2009. 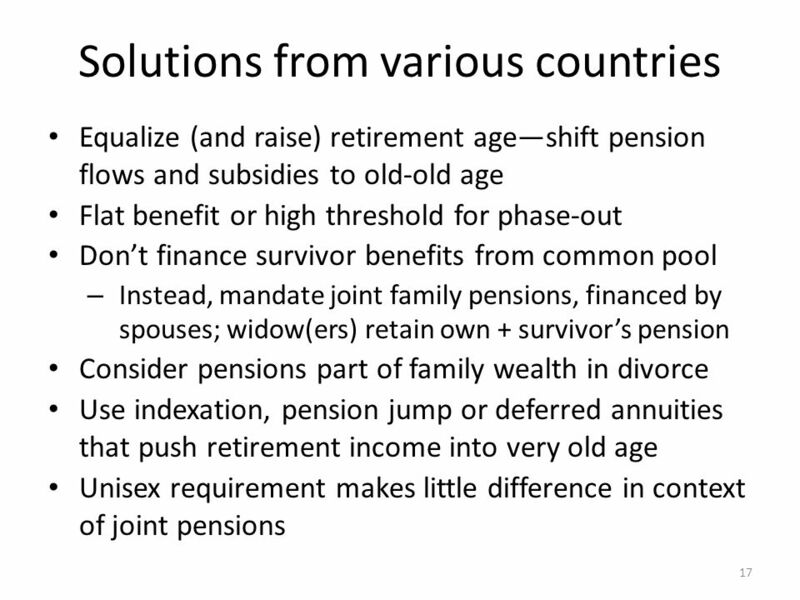 What Other Countries have Done: Issues for Government and Providers Presented at IIF conference, Dublin, November 2006 By Estelle James. 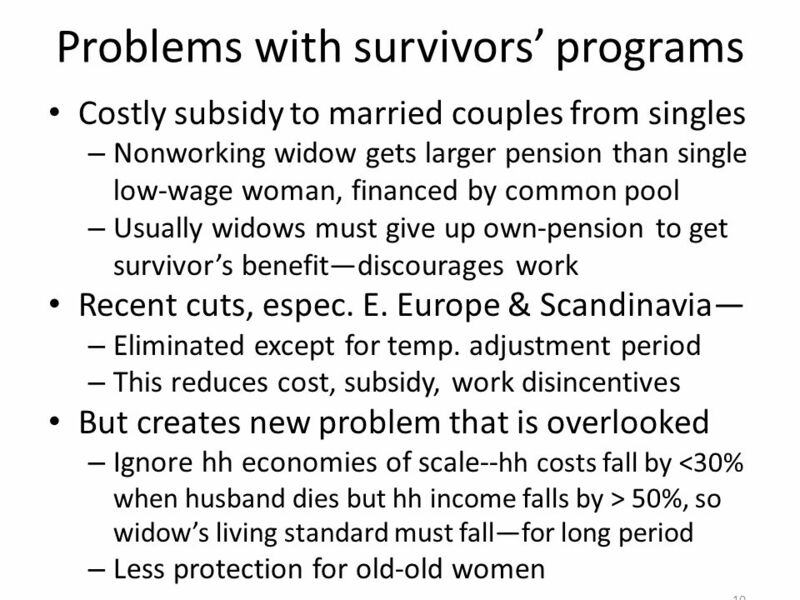 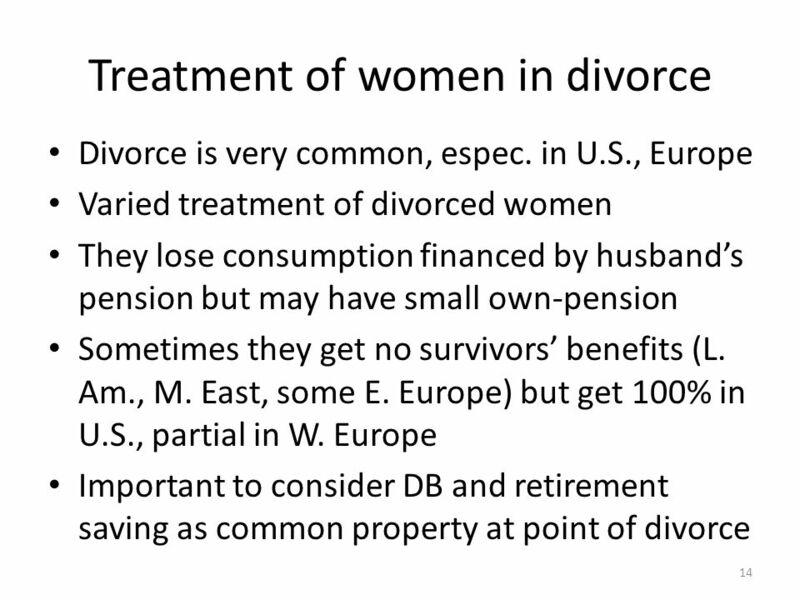 Issues in survivors’ insurance Estelle James World Bank Pension Mini-Course, 2011. 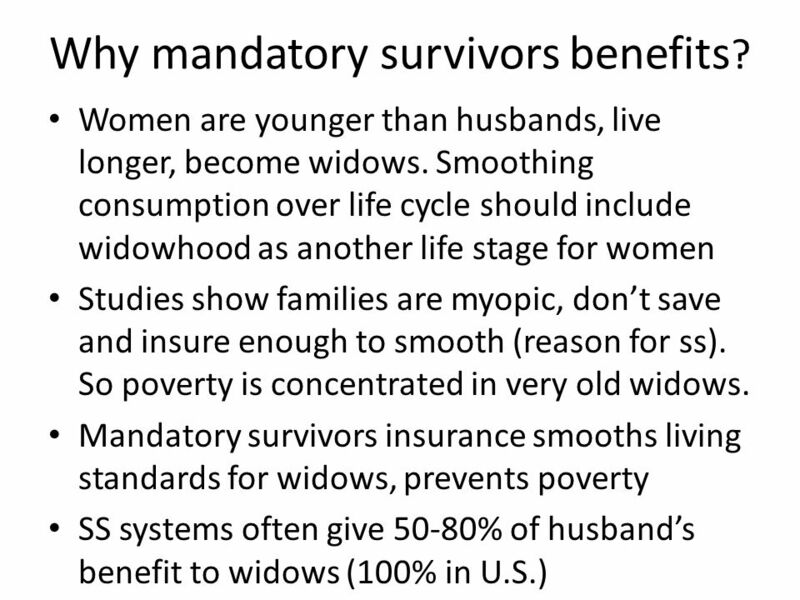 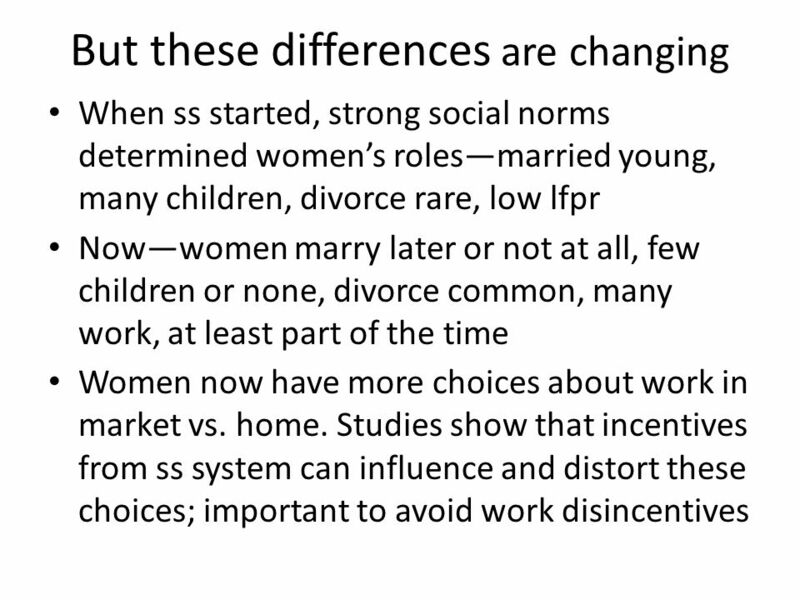 Comments on “The Effect of Social Security Auxiliary Spouse and Survivor’s Benefits on the Household Retirement Decision” by David Knapp Courtney Coile. 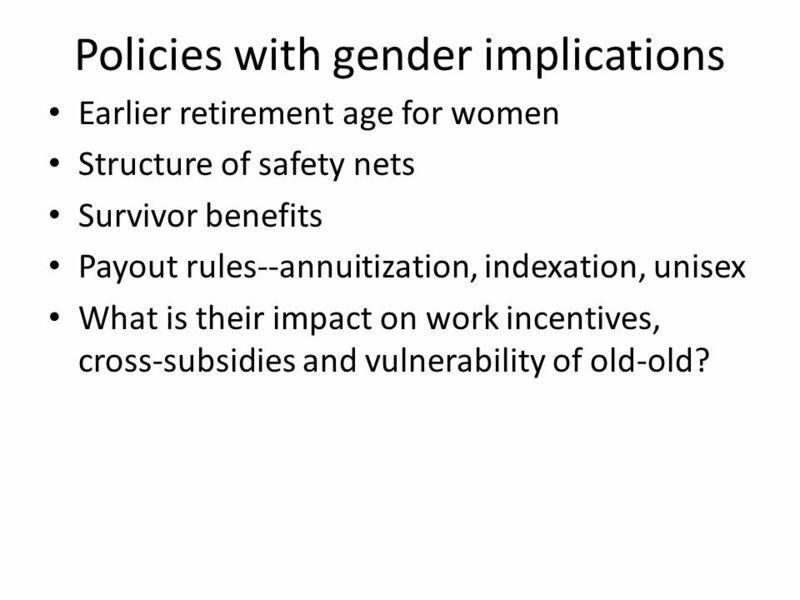 #CPACONGRESS C3: Future of retirement savings: Critical policy decisions Michael Davison Senior Policy Adviser – Superannuation CPA Australia Thursday. 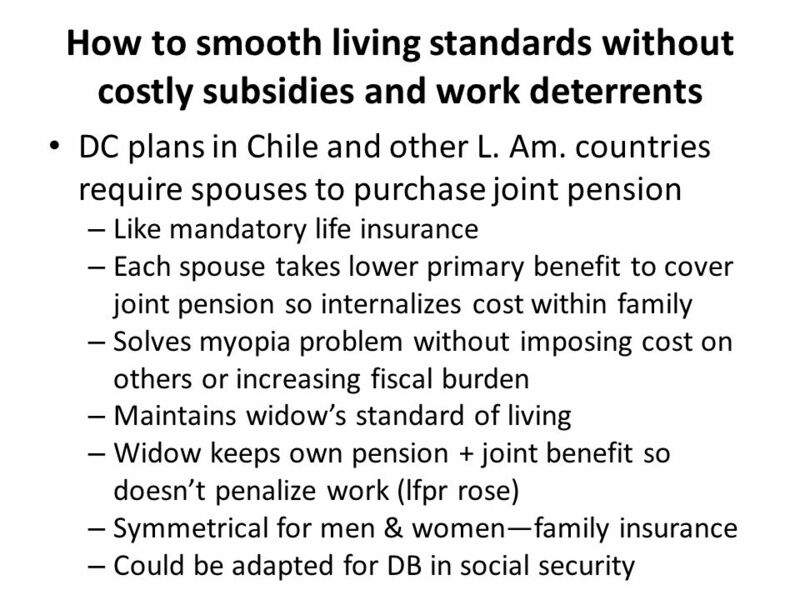 Coverage in the Chilean Pension System Solange Berstein– Chair IOPS Technical Committee Pensions Supervisor, Chile IOPS Regional Workshop Amman, Jordan. 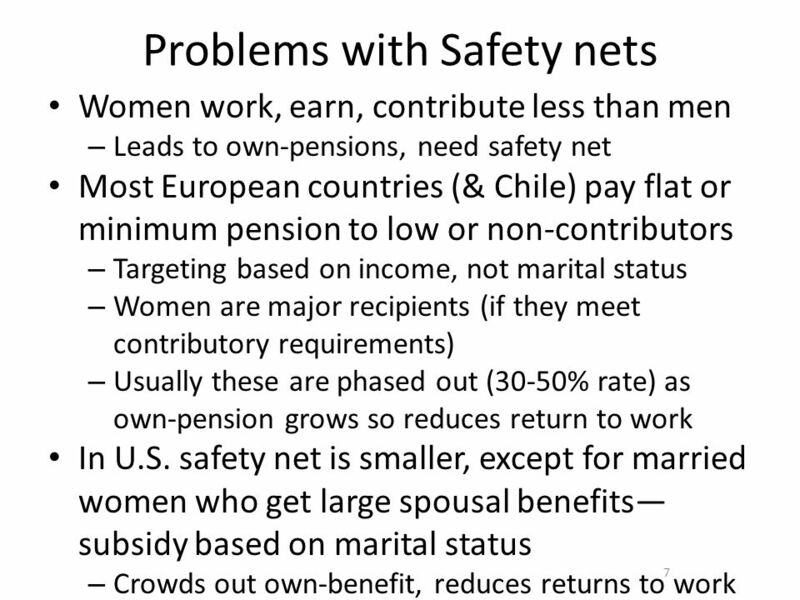 Aging Seminar Series: Income and Wealth of Older Americans Domestic Social Policy Division Congressional Research Service November 19, 2008. 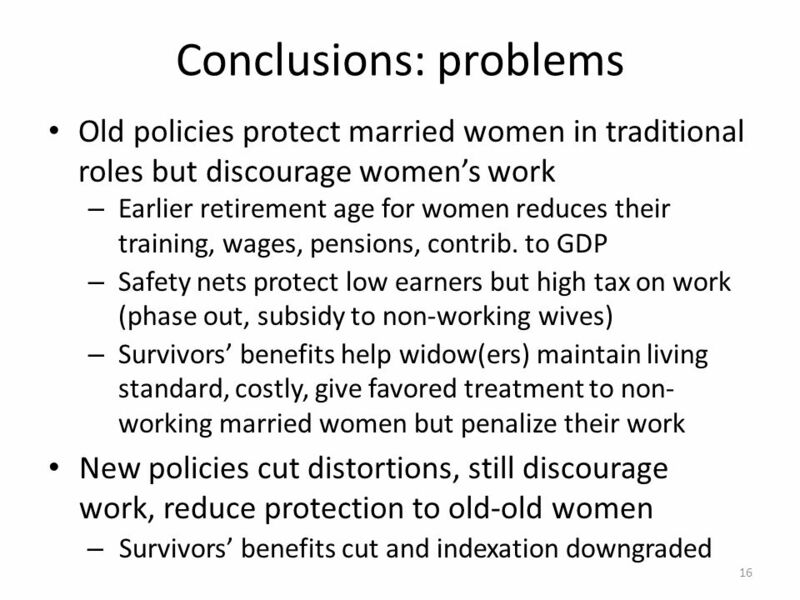 Keeping Seniors Connected to the Labor Market Benefits to working longer Work patterns and trends at older ages Work impediments at older ages. 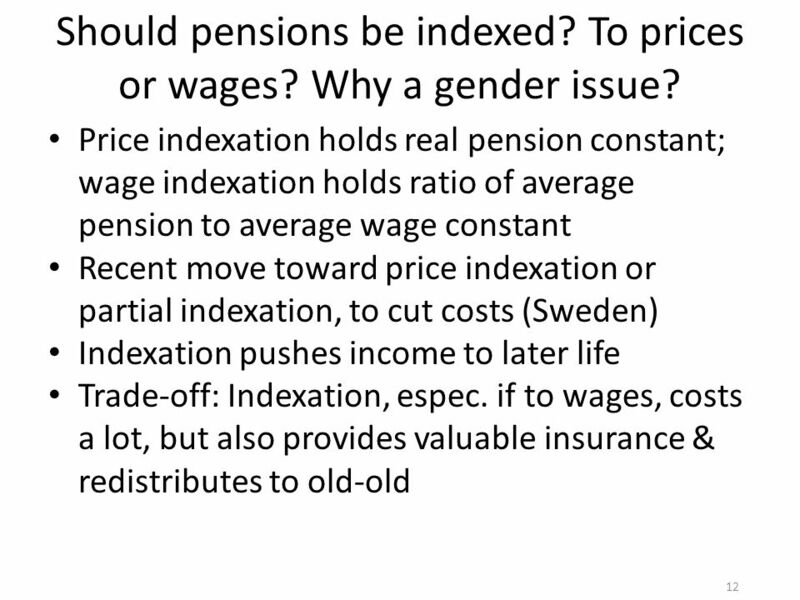 Different Types of Annuities P. Antolín OECD, Private Pension Unit at DAF/FIN 1. 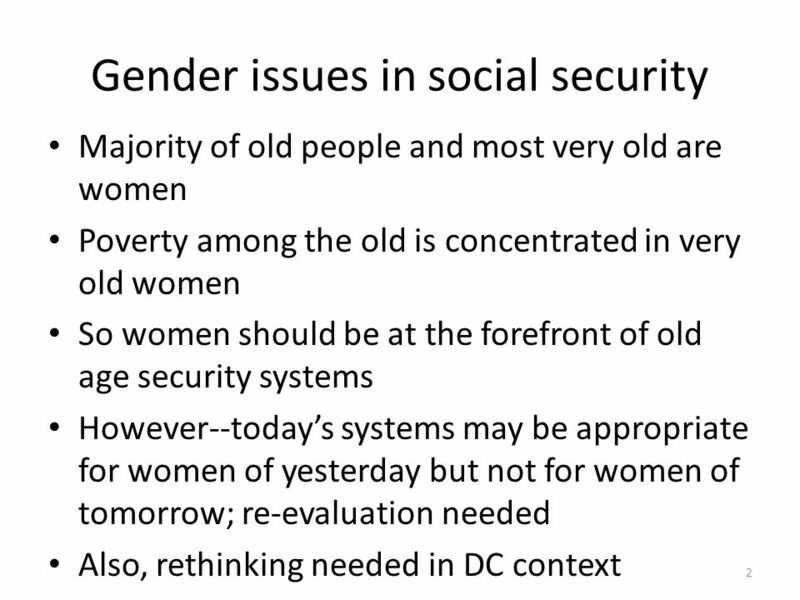 Controversy 9 What Is the Future for Social Security? 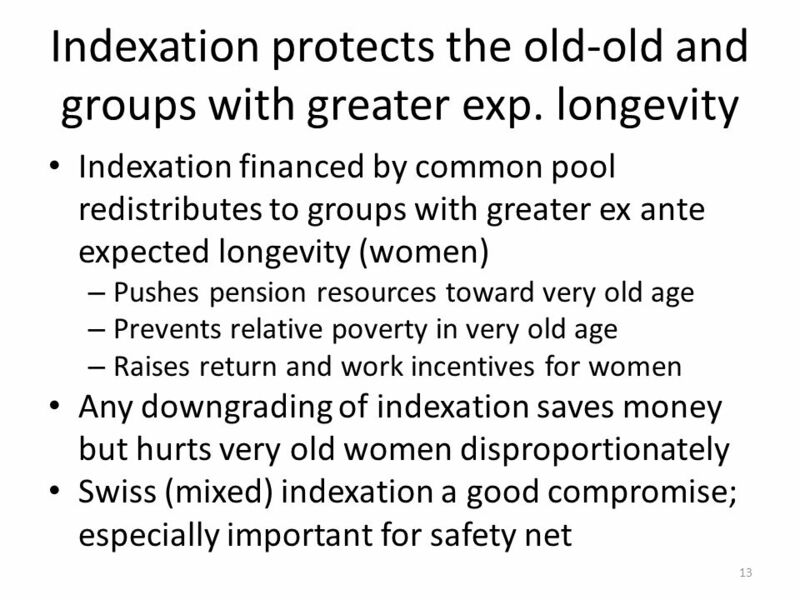 Social Security Administration An Overview of the Impact of NOT Paying Social Security Taxes as a State Employee Windfall Elimination Provision Government. 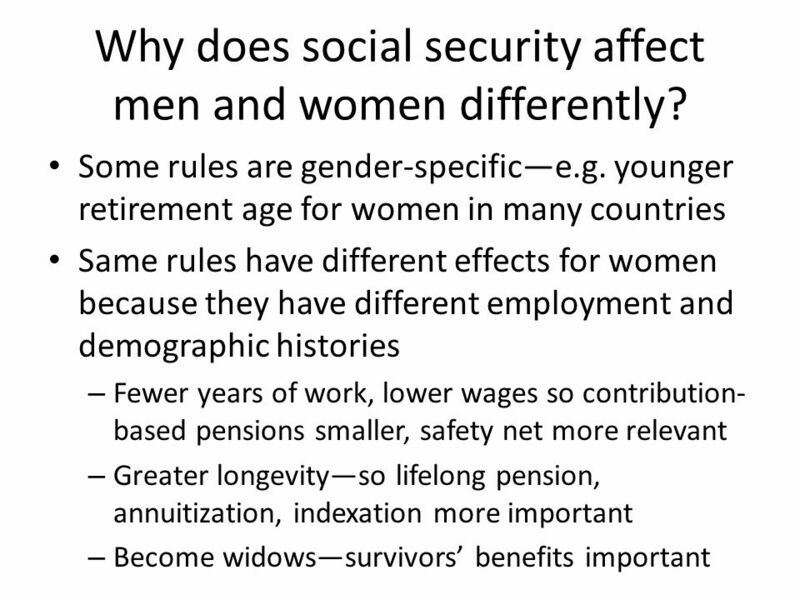 Pensions in the U.S. - The Role of Social Security A Brief Overview.